Can vintage port appeal to a new generation? Vintage port is steeped in tradition and mysterious rituals. The exuberant young Portuguese woman in front of me is, er – how best to put this? 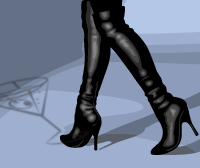 – shaking her booty vigorously, urging me to join her and her companions in a dancing conga line, the music is loud and the yelps and shouts of the dancers around me fill the humid air in an intoxicating late-night mix. Our ability to perform the conga, which is followed by a slightly lewd version of the Birdie Song, is only partially inhibited by the fact we are all up to our knees – and in the case of my diminutive dancing companion, thighs – in crushed grape pulp, a sticky, inky mess that gets everywhere, as can be seen from the palm prints all over our T-shirts. It is both smooth and scratchy – from the stalks and pips – at the same time. It is vendimia “harvest time” at the Quinta de Vargellas, the prime vineyard of the Taylor’s Port company in the upper Douro Valley in northern Portugal. I’m taking part in probably the oldest tradition in wine-making – treading the grapes, a typical port mix of six grapes but mainly tinto nacional, tinto roriz and tinto franca. The winery has a wooden ceiling, is lined with traditional tiles, and as the music from a tinny little organ pounds out and the young dancers become more uninhibited, I feel the presence of Bacchus – God of both wine-making and ritual frenzy – very closely. The treaders, mostly students and a few local vineyard workers, have already spent a long day picking in the baking heat on the steep, Douro hillsides and, for the last two hours, working to a rhythmic beat in arms linked, line formation, have been carefully and slowly treading the grapes in the lagare – rectangular granite vats – to ensure they all are crushed evenly. Then, at the sound of a whistle, they are released from their line, the organist starts and the dancing begins and, in another tradition, any visitors such as myself are obliged to join in. It is a remarkable thought that these young students, earning just €20 a night, might have grown up and retired before some of the wine being trod on this warm September night actually gets drunk, on the plush dinner tables of London, Paris or Beijing, maybe 40 years from now, under the label of a Taylor’s port. For treading is only reserved for the finest ports, which are allowed to age for many years before consumption. But why treading? And why does it have to be done immediately after picking, I ask Alistair Robertson, 74, chairman of Taylor’s, as, late on this sultry September evening, under a clear and starry night sky, he leads the party of visitors down the steep hill to the winery: “Quite simply because it is the best way of getting the colour and flavours out of the grapes in the shortest possible time. And it has to be done as soon as possible after picking to stop any immediate fermentation.” When the clear grape spirit is added to the wine after two to three days’ treading it swiftly arrests fermentation but preserves the tannic structure of the wine, a key act in allowing the intense, sweet flavours to develop in the years to come, says Robertson. 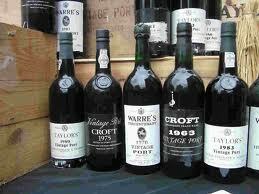 You can drink a bottle of port from the same vintage every year for 20 years, and it will taste different every time.